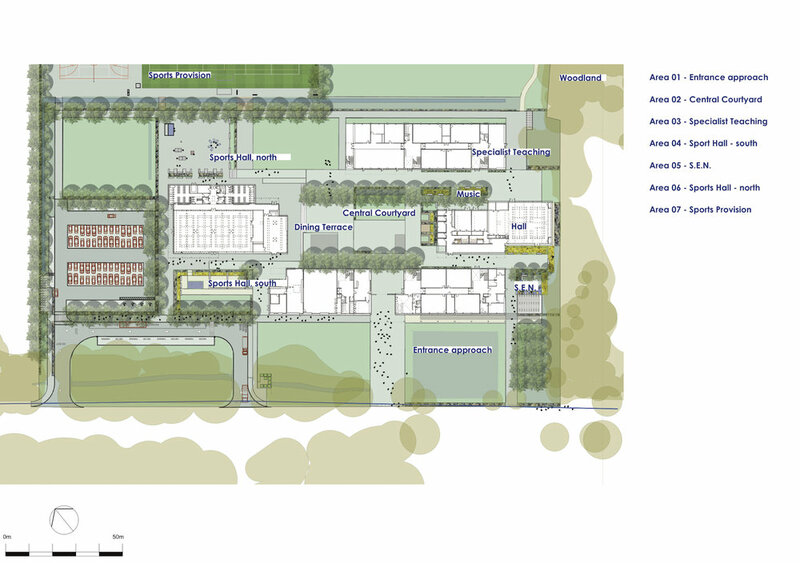 Secondary school landscape design with provision to expand by an additional 2 forms, has been developed by HCC to replace an existing secondary school which currently serves the Whitehill and Bordon catchment area. 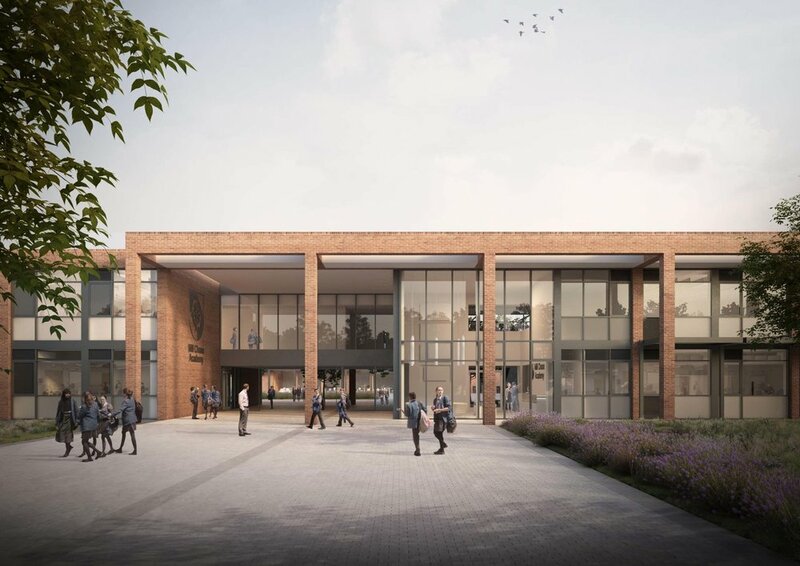 The buildings are arranged around a formal courtyard with a change of level by the sports hall to provide a terrace for social interaction and outdoor dining. Elsewhere, spaces have been designed to respond to the internal uses to encourage outdoor teaching. To the north of the buildings a floodlit MUGA and full size Step 7 all weather 3G football turf pitch is to be completed by June 2018. A number of full size natural turf pitches and 400m running track are also being created for the school’s anticipated opening in September 2019. An existing copse of trees is to be managed and used by the new secondary school for outdoor learning with extensive tree and shrub planting incorporated throughout to create ecological corridors for wildlife.